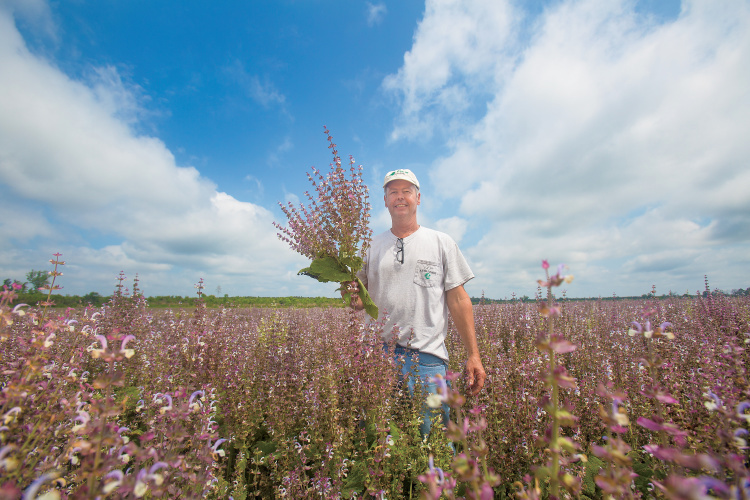 In a state where soybeans, peanuts and other crops dominate North Carolina fields, clary sage blooms with an economic opportunity that turns heads and a color that sometimes stops traffic. The answer: Salvia sclarea, or clary sage. And surprising to most, the herb makes the ingredient list of household products in nearly every home in America. But this type of sage demands thinking beyond the kitchen spice cupboard and rather beneath the kitchen sink. Clary sage is about as much like the sage in Thanksgiving dressing as a horse is to a cow, Peele says. The plants share similar characteristics but serve different roles. 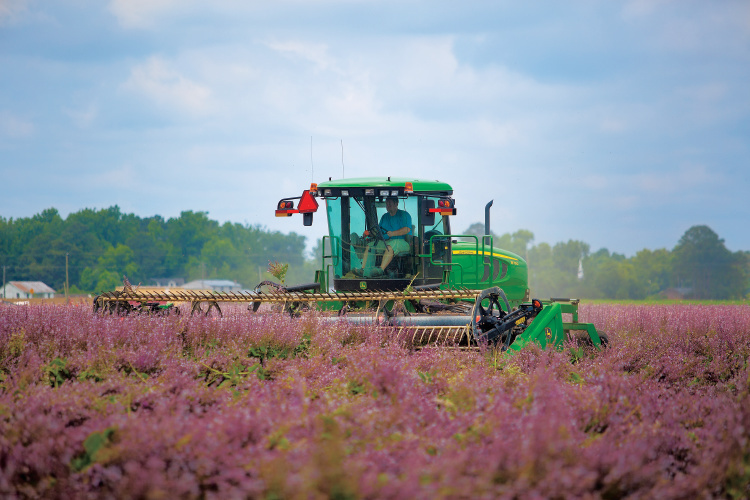 Avoca Inc.’s extraction facility in Bertie County uses clary sage to produce sclareolide, which makes fragrances last longer in fine perfumes and colognes, laundry detergents, dish soaps, fabric softeners, and a myriad of other fragranced household products. 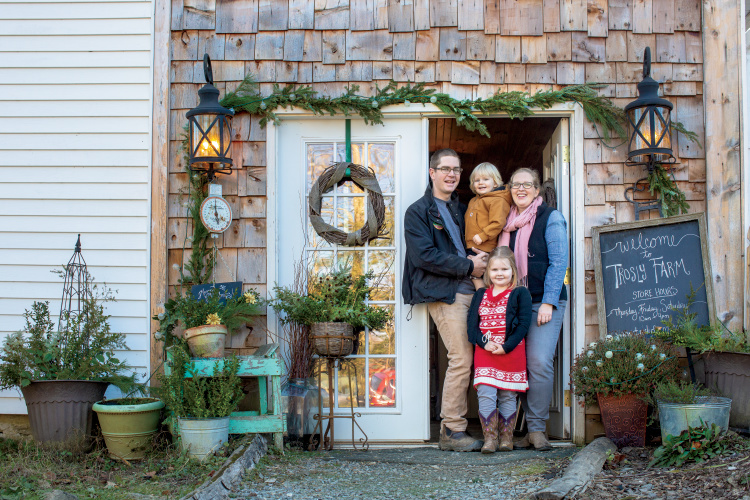 From small-town Merry Hill, Avoca continues its reign as the world’s No. 1 manufacturer and supplier of sclareolide to the fragrance industry. 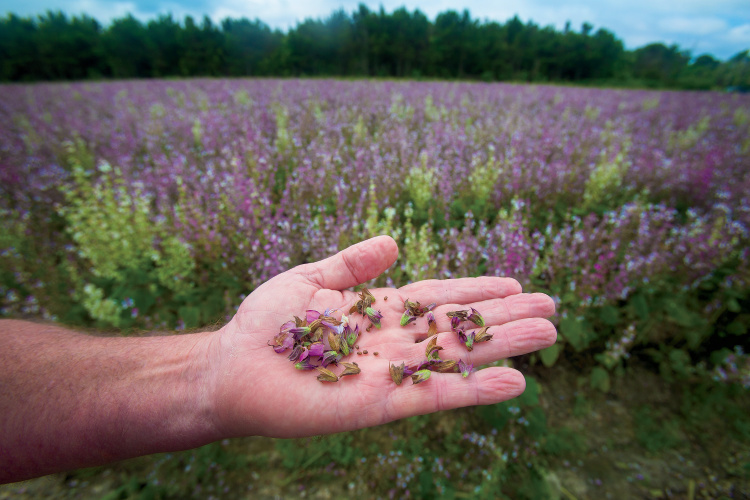 The company and about 120 local farming operations in 11 counties grow clary sage on 25,000 acres, making northeastern North Carolina the unofficial sage-growing capital of the world. 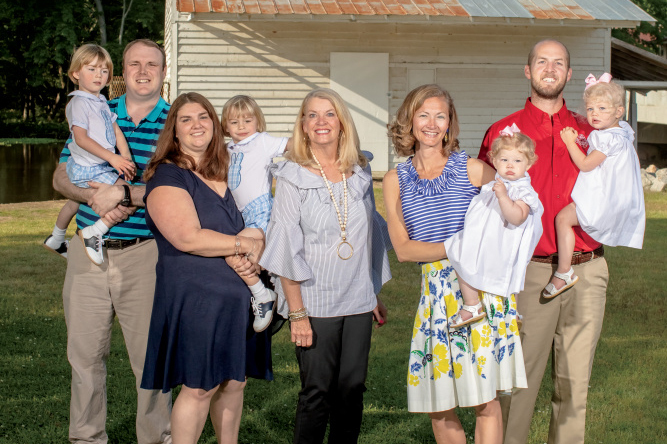 Clary sage roots run 30 years deep at Parrish Farms, a family-owned farm corporation that includes four brothers and a nephew in Chowan County. 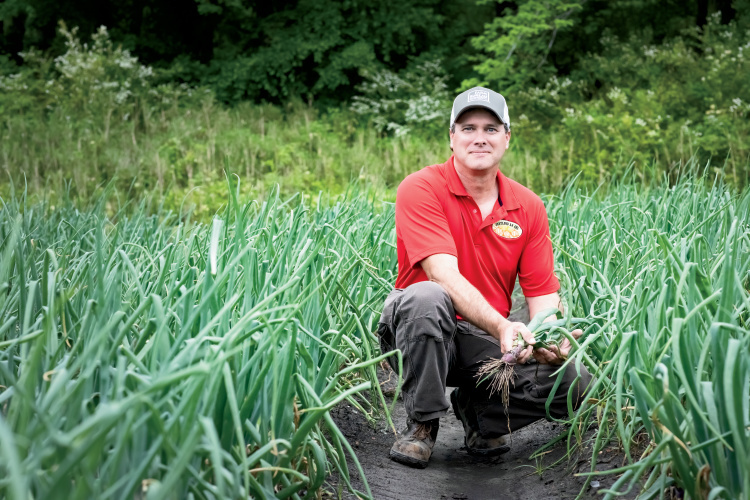 Mike Parrish’s father was among the first sage growers in the region. 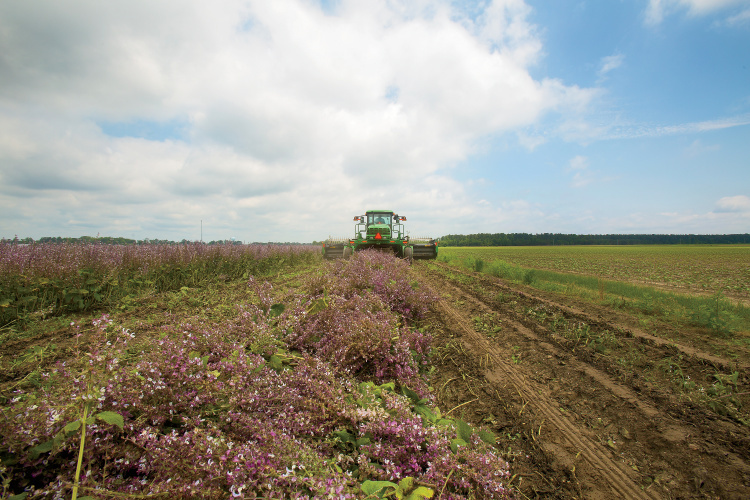 Today, the fourth-generation farm family grows 400 acres of sage, a sizable percent of their 2,200 acres near Edenton. They also grow peanuts, cotton, soybeans and wheat, Parrish says. 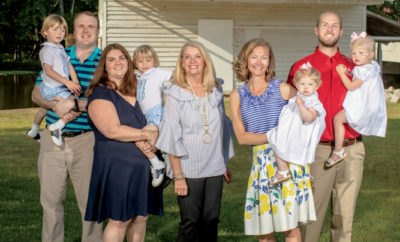 Suitable soils, an irrigation system, a local market and stable values created the right dynamic for the Parrish family to add and keep sage in their crop rotation. See more fun facts and stats about Clary sage. Wild price swings in markets for soybeans, peanuts and cotton prompt instability and sleepless nights. Parrish sleeps well with sage, which has held its value for nearly 15 years. The Parrish family starts to plant clary sage in August and finishes around Labor Day. The plants grow up to 1-foot tall before winter dormancy, and then growth resumes when the temperatures warm in March. The family applies fertilizers to support the herb. They spray and cultivate between the rows to maintain weed control. 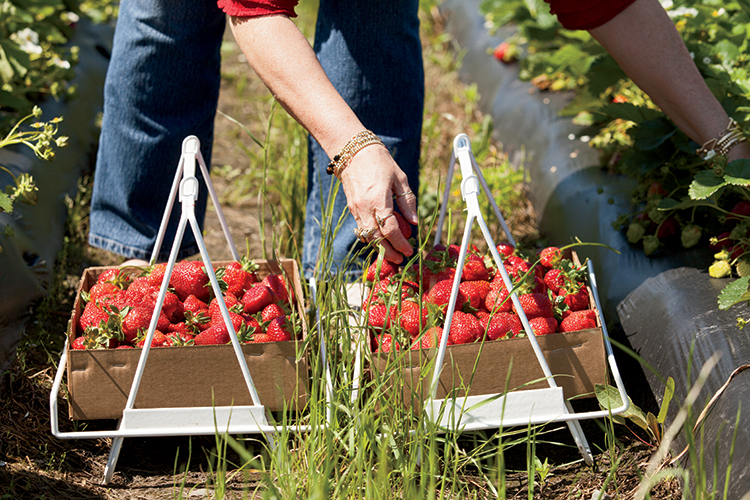 They also use seed treatments to deter damaging insect pressure during the growing season. By mid-May, the crop reaches 3 to 6 feet tall and fields turn colorful. The showcase of lavender, pink or white blooms depends on the varieties planted. “When it’s fully bloomed, it’s a world of pink or white as far as you can see,” Parrish says. The blooms emit a strong smell, especially during rainy or hot days. 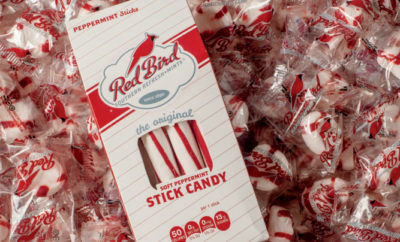 Some people enjoy it and describe a pleasant, floral aroma, Peele says. Others compare the odor to a wet dog on a summer afternoon. In June, local farmers begin sage harvest. The Parrish family uses a forage harvester, which cuts and gathers the crop, chops it, and blows the moist, chopped sage into a truck, similar to corn silage. Most farmers wind-row the crop, using self-propelled wind rowers to cut and funnel the entire sage plant into rows. The farmers then gather the crop and Avoca stores it in long white bags, which enables extraction of sclareol throughout the year. 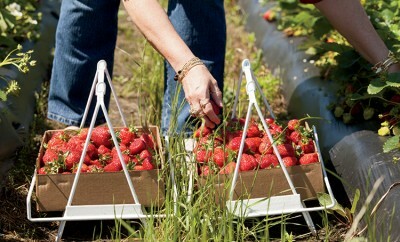 Avoca pays farmers by pounds of sclareol per load. ← Previous Story What’s It Like to Raise a Family on the Farm? farm bureau mag add says you offer a sample of SLAWSA AND SHIRT 2x. THE PEODUCTsays like it would be good with my fatback cooked pintos. Please enter me for the Slawsa sample! Sounds great! Our Firm is interested in buying Sage seeds, if it is in your scope please get back to me (E mail) Thanks. I would like to buy some clary sage seeds for my yard. I think the plants are pretty. I could use them in my flower garden. Where could I order some?